The NC Arboretum Operation Center was completed in 2003 by Cooper Construction Company. 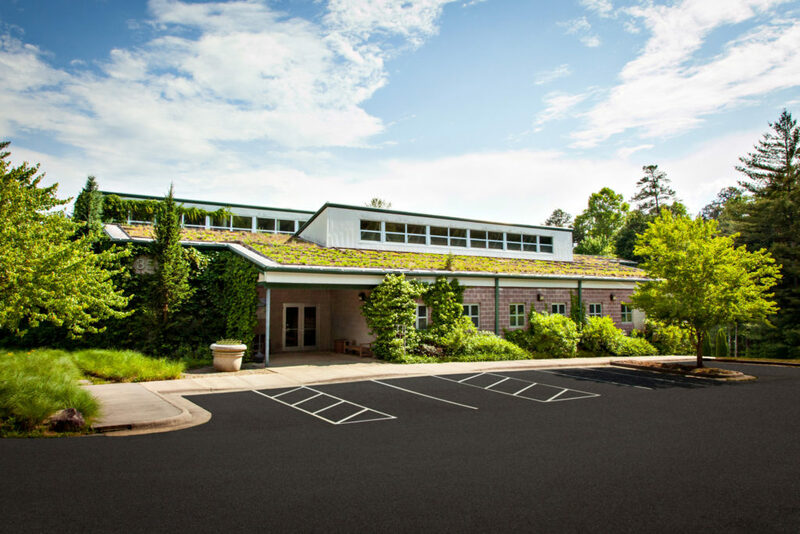 The North Carolina Arboretum’s Operations Center provides workspace for grounds, gardens, landscape, maintenance, and IT staff members and volunteers. Work areas include: an automotive, electrical and carpentry shop; research library; laboratory; loading dock; and shipping and receiving area. Outside the building, there is a vehicle washing station, a bulk storage and soil mixing area, and a pesticide mixing building. A 5,160 square-foot steel structure adjacent to the facility provides additional storage space for vehicles and equipment. The building is also a green building site, following guidelines adapted from the US Green Building Council which requires the facility to meet criteria for innovative design, energy efficiency and environmentally responsible practices. Rather than relying on high-tech materials, the Operations Center uses standard building components innovatively. Over time, the facility will save the Arboretum energy, water and money, which is translating into savings for North Carolina taxpayers. Furthermore, the staff finds the building a healthy and productive place to work because of the space design and day-lighting features.